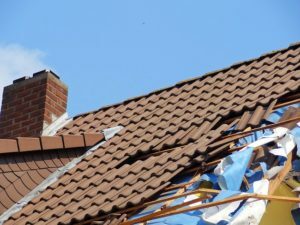 A number of roofers fail to get roofing insurance. They do it for two reasons either they don’t want to have the expense of insurance or they are illegals, who don’t want to be found out. Whatever reason they choose not to have insurance,it’s a big mistake. Most states require that you have roofing insurance. Most clients want to see proof of your insurance. Besides that, roofing insurance is a major piece of your risk management strategy. Workers comp provides your injured workers with help for medical expenses. Without roofing insurance, you might have to foot the bill for medical and wages. Through your roofing insurance, you have general liability coverage. Your general liability policy protects you against claims made by your customers. However, if you wind up having a court battle with one of your clients, it’s important to understand some of the legal precedents that may sway the outcome of your case. Many roofers want to be sure that they have adequate coverage. However, they make the mistake of over insuring themselves. For example, you might buy a rider for your policy that insures you in case of a tornado. If you live in a part of the country that does not have tornadoes, you may very well have over insured yourself. The best thing to do is speak to your roofing insurance agent. He will be able to define what types of coverage you need to prepare for every probable contingency you must have protection against. Some roofers like to scrimp on the amount of roofing insurance that they buy. This is a big mistake. Many times these roofers find out the hard way when they file a claim, and it’s rejected. That means the roofer has to pay out of pocket for the damage. It also means he not only puts his business assets at risk but also his personal assets. One way of avoiding under insuring is to talk to your roofing insurance agent. Most agents have a checklist of the various kinds of coverage. You need to go over that checklist and determine, eventualities that are likely to happen to you and your business. There are a wide variety of insurances besides roofing insurance that you may choose to protect your business.One of them is builder’s Risk Business Insurance. Builders risk insurance might be the wrong insurance for you. In most cases, builders risk insurance is paid for by the builder or the land owner.As a roofer, you would not need to carry that type of insurance because you are already covered. It’s a good idea to periodically shop around for roofing insurance. You can evaluate which company gives you the biggest bang for your buck. You also need to determine if the insurance agent is one that you want to do business with.